DC Electric saves 2-3 hours per person each day using Fieldwire’s custom forms and is almost entirely paperless on the jobsite. A family-owned and operated business, DC Electric opened it is doors to the people of Idaho Falls in 1996. As you can probably imagine, running a business twenty years ago looked a little different to what it does today. Binders, notepads, and pens were office staples, and contractors relied heavily on paper plans to complete work. It is clear that times have changed since then — so much so that DC Electric is almost entirely paperless, they no longer communicate via email onsite, and since ditching paper forms in the field they’re saving 2-3 hours per person each day. Now, all DC Electric need onsite is an iPhone and Fieldwire. 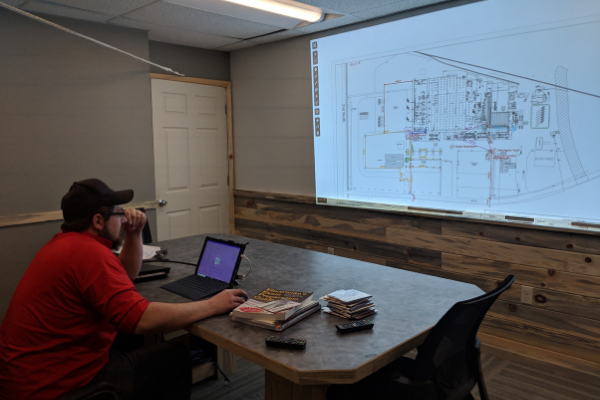 Steven Clements, the Business Manager at DC Electric confirmed: “We are 90 percent paperless and hope to be 100 percent paperless by May this year.” He added that going paperless wouldn’t be possible without Fieldwire’s custom forms. "We're 90% paperless and hope to be 100% paperless by May this year." In addition to reducing busy work, Fieldwire’s custom forms have improved DC Electrics stakeholder relationships on various projects across the state. “With the custom forms, we are able to provide better project documentation to our customers and other contractors,” said Steven, which not only keeps them happy but eliminates a lot of unnecessary communication about project details.